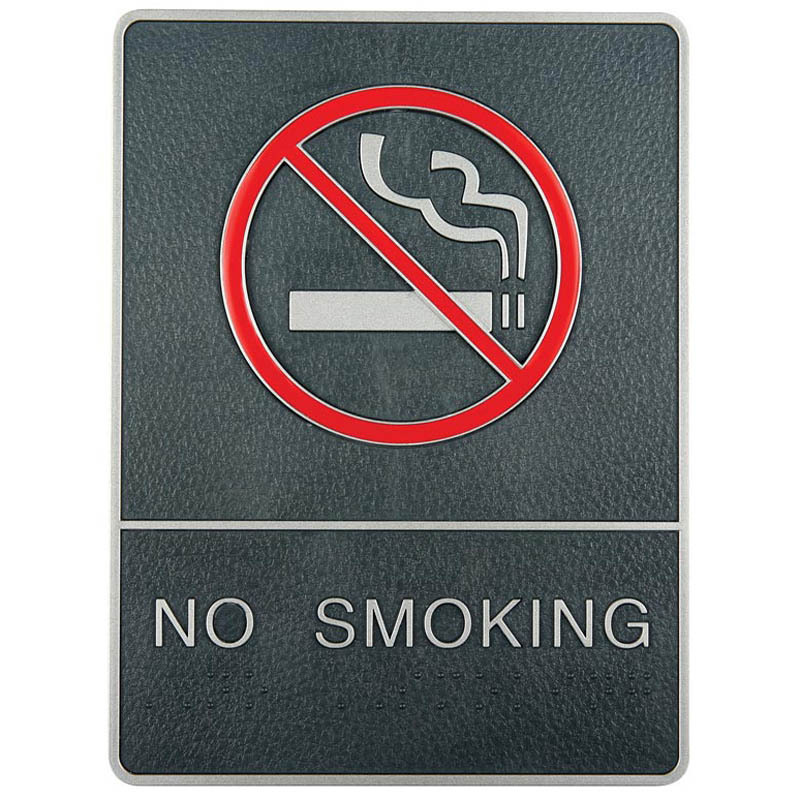 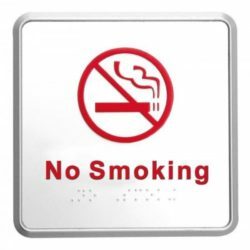 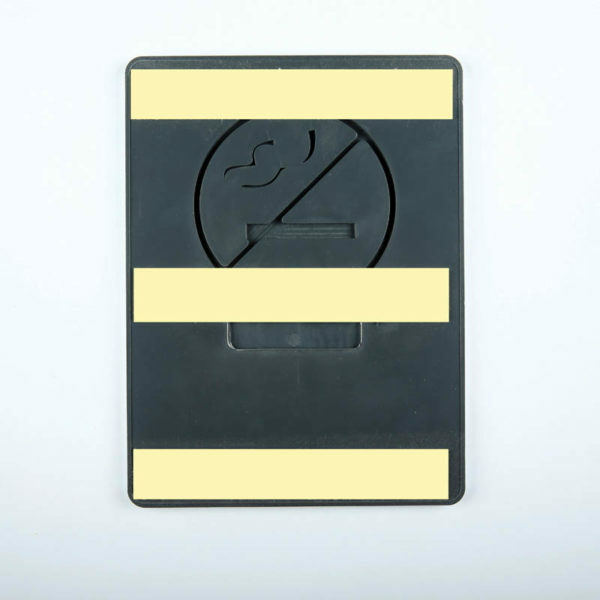 Chrome framed Braille Signs, No-Smoking, are made of plastics. 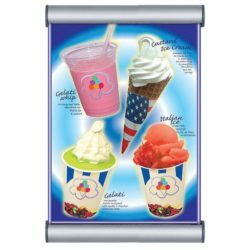 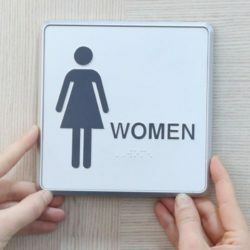 The signs incorporated a combination of tactile text and printed text. 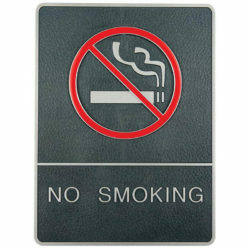 Easy to apply with self adhesive tape provided on the back of each sign. It is 6″ wide and 8″ high.